Hello, and welcome to Garage Door Repair Services of Rogers! We’re so glad you’ve chosen us to meet your overhead door needs. Our friendly and courteous staff is always on hand to take your calls. Our mission as a company is to serve those living in Rogers and the surrounding Minneapolis area. Why Choose Garage Door Repair of Rogers? Your garage door is a sophisticated piece of equipment that requires specially trained professionals to maintain. If one of the parts of your garage door becomes rusted or broken it can compromise the entire machine. You need a company that can be relied on use only staff certified technicians. Our company makes sure that you, as a Rogers client, have all of your questions about your overhead door needs met. Our phone representatives have the knowledge to help you with any questions you have. Once our phone representatives have a clear understanding of your overhead door issues they will dispatch a technician to your home, day or night. 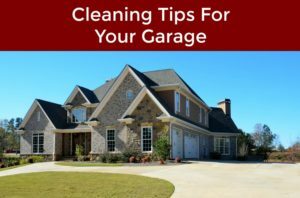 Between the tendency toward tornado-like weather in Rogers, and regular use of your garage door, parts can become broken or worn out. When this happens it will cause your equipment to become stuck either in the open or closed position. We know that non-functioning parts can pose many issues for you and your family, including safety. Of the roughly 3000 households in the Rogers area, there is going to be a garage door issue pop up every day of the week. We want to be the company that helps you meet those needs! Our technicians will give your number a call 30 minutes prior to your service in order to make sure you are home and available. Even if your issue happens during Rockin’ Rogers Days, we’ll be there! We are excited to work with you in all your garage door needs. It is our goal as a company to provide you with the best garage door services in the Rogers, Minnesota area. Our staff are available to take care of you day or night. Please don’t hesitate to contact us today if you are looking for overhead door services. We look forward to partnering with you! Our team serves our customers in Rogers, Minnesota for all of their garage door needs. As a suburb of the Minneapolis-St. Paul area, we serve a wide region of customers and locations. Our team is grateful to be a well-established company within Rogers, which is in Hennepin County. We’d be pleased to help you with anything you need when it comes to garage doors. Our team is proud to have this be the town of ours and our customers. You can find us traveling to customers via Interstate 94 and Minnesota State Highway 101 regularly. We happily serve the residents in and around Rogers and Minneapolis. Our team travels to get to your location within an hour and promises to provide the best service for you. In fact, we promise to be at your location within an hour of your call. Rogers is a great place to both live and visit. While we work hard to accommodate your garage door needs, feel free to enjoy this great area outside of Minneapolis. Consider checking out the following: Crow-Hassan Park Reserve and Trapped Puzzle Rooms.